Free Trial. Just Enter Your Email Address. Access to Daily Trading Signals. The Ability to view historical performance. Tips & Guides for best practice. The OmniVest Approach for Success! Gain access to a wide range of Day Trading Signals with a proven track record that has consistently beat the market since 2000. Like the highly acclaimed NSP-41 shown below that has tested profitable every year for the past 10 years. OmniVest gives you the ability to trade many Strategies at the same time using a Portfolio of Strategies, selecting Signals on different Stocks and ETFs from each one. The more positions you have, the less capital you are risking on any one particular industry or stock. It's almost impossible for individual investors to stay invested because of the research required. OmniVest does the work for you. 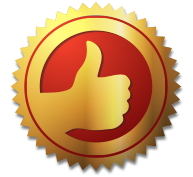 It automatically selects the best Signals every day from our finest Strategies, maintaining the level of investment and risk that you choose. Regardless of your financial goals or account size, OmniVest offers a perfect investment solution. Start receiving signals from just 1 strategy or diversify with up to 20 strategies. Strategy Showcase: Highly-acclaimed NSP-41 - 10 Years of Profits! It's a 100% mechanical Trading System. NSP-41 may very well be the first of its kind in the world. 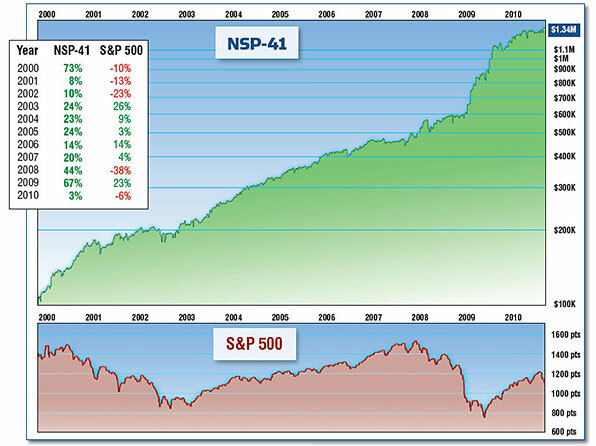 NSP-41 has tested out to be highly profitable on stocks in the S&P, the NASDAQ, and the Russell - in fact it is profitable on all lists we have tried it on back to 2000. It even works on futures and ETFs!